15 years after its introduction, Syngenta has announced its plans to significantly increase global production and distribution of the innovative fungicide Amistar. The Amistar fungicide has Azoxystrobin as its active ingredient, and has proved very popular in the fungicide market of 80 countries across 120 crops. John Atkin, Syngenta’s Global Chief Operating Officer, says that these plans for increased production will help to satisfy future international food demands. 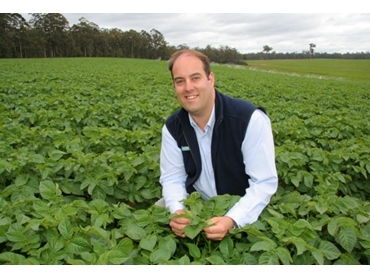 Richard Packard, Syngenta Marketing Manager for Potatoes explains that this investment will help to make the fungicide even more accessible to farmers. Richard explains that not only will Syngenta continue to support and invest in Amistar’s active fungicidal ingredient through label extensions, registrations and technical support, but it is also set to further develop applications for both existing and new crops. As with any fungicide, the management of resistance is also critical in ensuring its ongoing performance in the field. Syngenta is continuing to champion application stewardship in this area, with structured disease control programs as well as the introduction of new products and innovations such as the development of Amistar Top for tomatoes and potatoes.